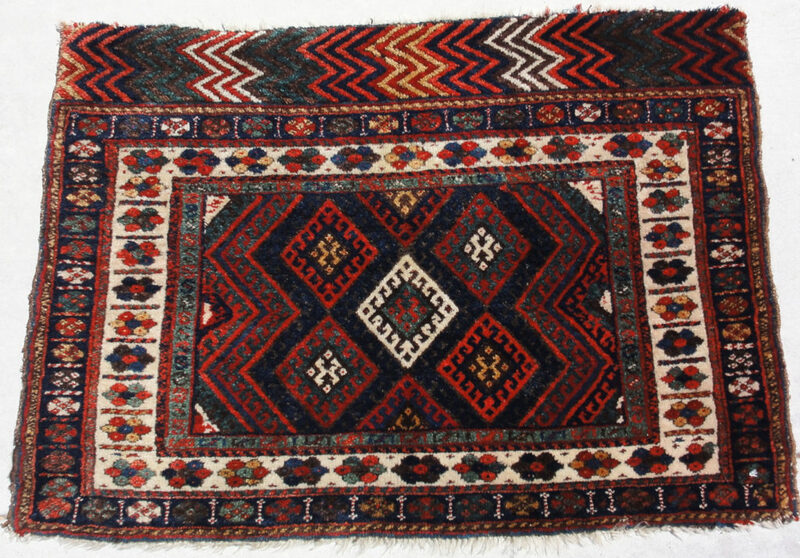 At Rugs & More we have the most antique collectable Tribal Rugs on the west coast. For example we have hundreds of antique collectable hand made saddlebags. Learn More about woven arts with Michael Kourosh on “Appraisals Of The Week” on Design Santa Barbara. Saddlebags are made for horses, donkeys and camels from Asia Minor, Central Asia, North Africa, the Caucasian Mountains and the Western Hemisphere. Some Kurdish saddlebags are for camel size animals; khorjins from Iran were for donkeys. 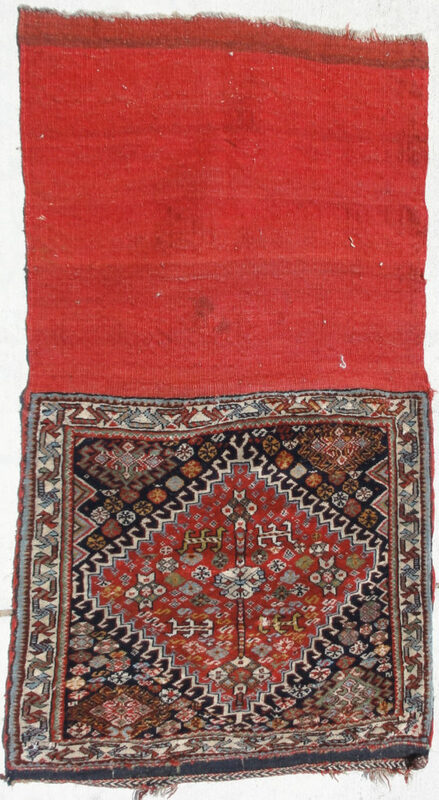 Baluch khirjin and a Juval are knotted pile with flat-woven backs. Probably the most familiar to Westerners are saddlebags with two decorated pouches. These were made in various sizes, with the smallest examples used on donkeys. 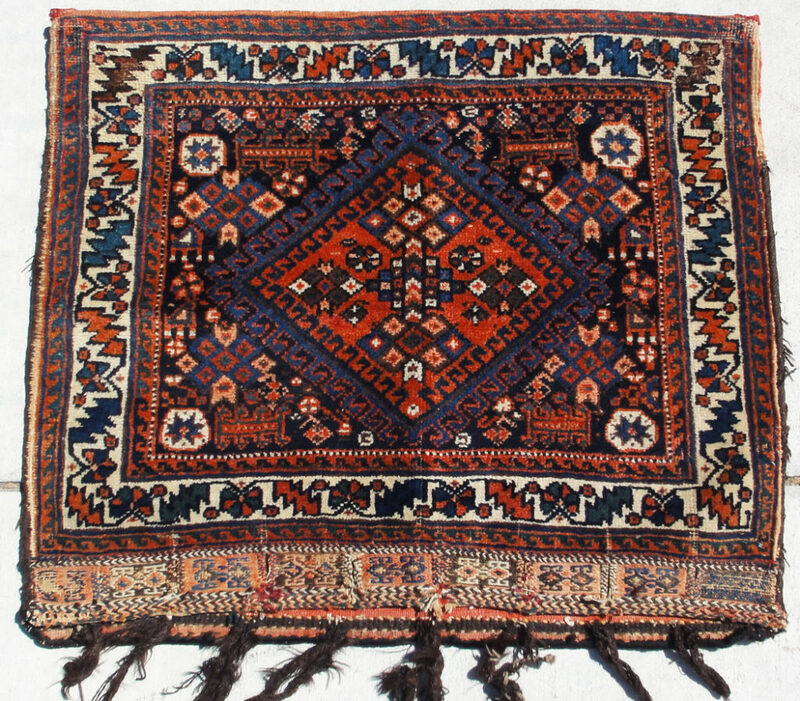 Called heybe in Turkey, khorjin in Persia and the Caucasus, they appear in a wide variety of woven structures: tapestry, soumak, brocading, knotted pile, weft substitution, and even occasionally warp substitution. Saddlebags were normally woven in one long piece. First the face for one pouch was woven, then a long section that formed the back and center bridge, then the second pouch face. The bag was assembled by folding each end panel inward, then stitching along the sides. The example at the right is as it came from the loom. 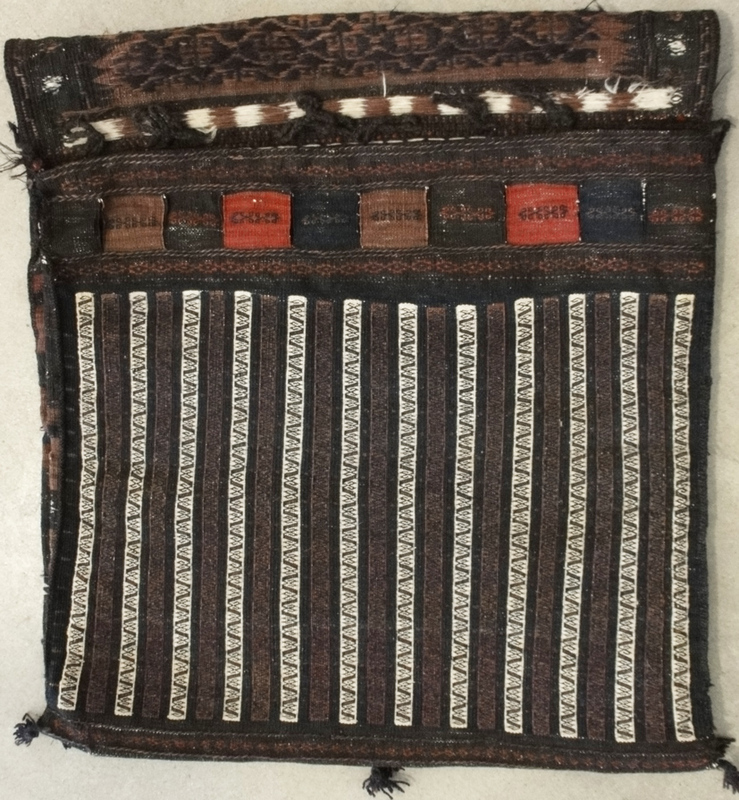 This piece simply was never stitched up to make a bag, but had it been finished, it would have been folded over as shown below. Because of the construction sequence, the pile on knotted-pile saddlebags lies in opposite directions on the two decorated pouch faces. With the earliest pieces, often only the saddlebag faces ( hence the name BAG FACE ) have survived, or just half a saddlebag–a single pouch with both face and back intact . These can be important collectors’ pieces. There is a big market for rare and unique bagfaces of early period and they command high prices and we predict that they will get more expensive over time, because compare to all other art forms these gems are very much under valued. 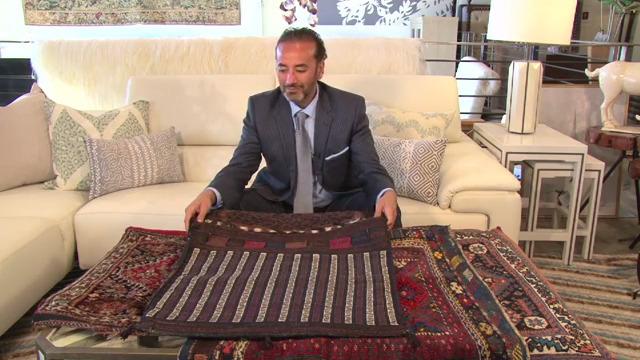 We provide the West Coast with the most comprehensive collection of new, oriental, and antique rugs. 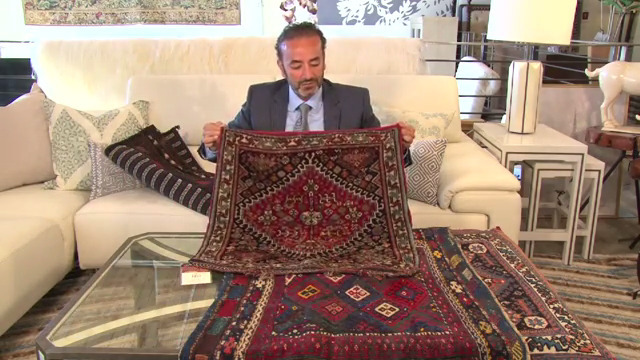 For over three generations, we have been the most trusted and reliable source for rugs and home decor. Take advantage of our award winning customer service on your next interior design project and enjoy all of the benefits we provide our loyal clients. Rugs & More is proud to have earned the Santa Barbara News Press’ Readers Choice Award for twenty three years running! We would like to thank our loyal patrons for helping us accomplish this.